Pilot Crushtec International has supplied a further five free-standing TowerLight lighting towers to Mpumalanga coal mining specialist Just Coal. TowerLights offer a range of cost-effective, environmentally sound, mobile and free-standing lighting tower solutions that enable mining and construction operations to work safely and productively throughout 24-hour working cycles. This is the second consignment to be supplied to the Middelburg-based customer, which has increased its TowerLight fleet size to a total of nine units. Pilot Crushtec International CEO Sandro Scherf explains that the results delivered by the coal miner’s first TowerLight VT8 units purchased in 2014, made them the natural choice for ensuring its new Spring Forest open cast mining site would be capable of working safely and efficiently around the clock. “Apart from their lighting performance (each unit can illuminate an area of up to 3,800m²), they have impressed with their reliability and ease of transportation. The TowerLight telescopic lighting mast is regarded as a major safety feature and is easy to raise and lower. Previous experience with designs based on folding towers had proved them to be unstable, dangerous as well as prone to damaging the lights themselves,” he says. TowerLight systems have gained ready acceptance among the local mining and mine rehabilitation community for a number of good reasons. They are compact, easily transportable (most are supplied street legal for towing purposes) and driven by a Lombardini diesel motor with a 75-litre tank which ensures they can operate when and where required for an unbroken 24 hours without refuelling. 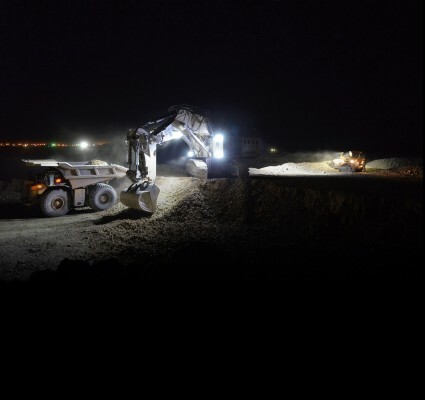 TowerLights are the ideal lighting solution for mining and quarrying applications, road works and construction sites, outdoor events and as a source of income to the rental industry.